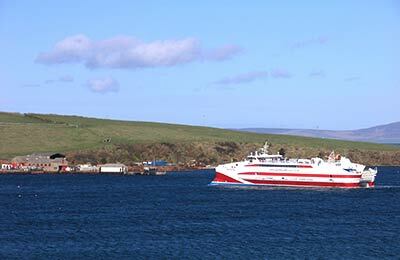 The St Margarets Hope to Gills Bay ferry route connects St Margaret's Hope, a village in the Orkney Islands, off the north-east coast of Scotland to Gills Bay on the Scottish mainland which is about 3 miles (4.8 km) west of John o' Groats. The route is operated by Pentland Ferries. There are up to 4 crossings per day. The crossing time is approximately 1 hour. This route accepts vehicles and foot passengers. With AFerry we always give you our best prices for ferries from St Margarets Hope to Gills Bay. No matter which page you book from we always include all our special offers. And there is no need to look for a discount code. If we have an offer available, your ferry price will include the reduction or offer. There's no need to look at other websites. If you're not sure if the St Margarets Hope to Gills Bay route is right for you or you can't decide between ferry companies, if there is more than one, you might also find it useful to read any reviews we have available. We ask all our customers to send us reviews for St Margarets Hope to Gills Bay ferries. Remember though, that the earlier you book, the cheaper prices normally are. So don't spend too long deciding! St Margarets Hope to Gills Bay is a popular route, so we advise you to book as soon as possible. St Margaret's Hope, also known as The Hope, is a village in the Orkneys, located off Scotland's north-east coast. The word Hope comes from the Norse word 'hjop', which means bay. St. Margaret's Hope has a number of shops and restaurants and is famous for its annual Boys' Ploughing Match, a festival where young boys plough in the sands of the Sand of Wright, while girls wear traditional costumes. Gills Bay ferry port lies on the Pentland. 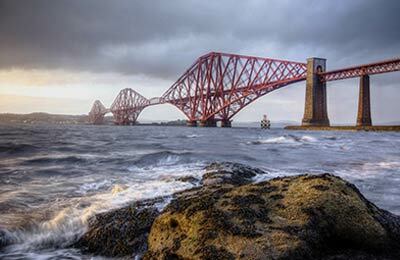 It is easily reached when driving round the Scottish north coast road. Gills Bay is located to the northeast of the Caithness settlement of Gills, 3 miles (5 km) west of John o' Groats in Highland Council Area. It is a favourite sunbathing spot for local seal populations. We were disappointed that our booking was wrong as it was from Gills Bay to St Margarets Hope not St Margarets Hope to Gills Bay. Fortunately the staff were able to correct it and there was room on the ferry. Excellent service at a very competitive price. Comfortable and clean. Staff efficient and food service very reasonable. Trip to Orkney with car first timer from Australia! Sensational organisation and management of the onboarding and departure process. Very much like Royal Engineers. Brilliant organisation great communication and great staff . A scary prospect was in fact a breeze thanks to the organisation and personal skills off the staff. Do it again and recommend to all!! Thank you for your precise service!!! I will always remember your nice katamaran boat and always green Orkney!